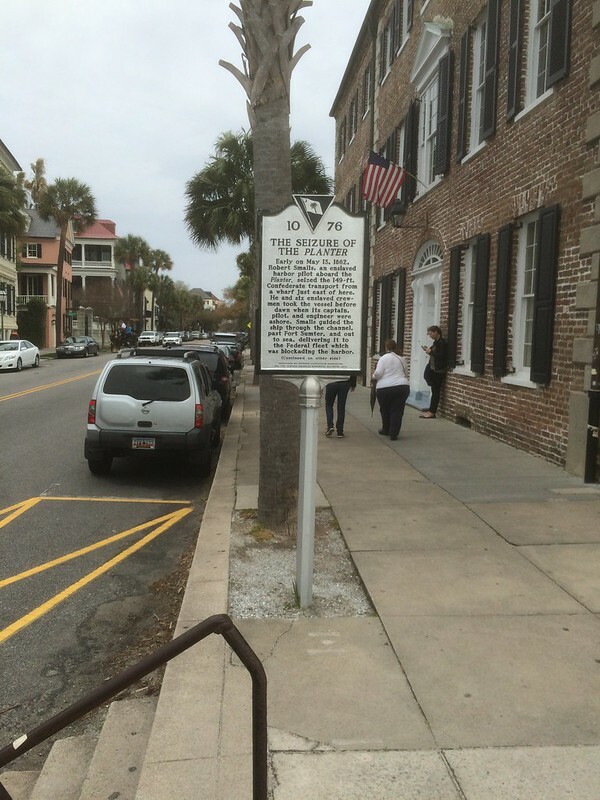 This marker is located near 40 East Bay Street, Charleston, South Carolina. The GPS coordinates for this location are N 32° 46.385 W 079° 55.637. 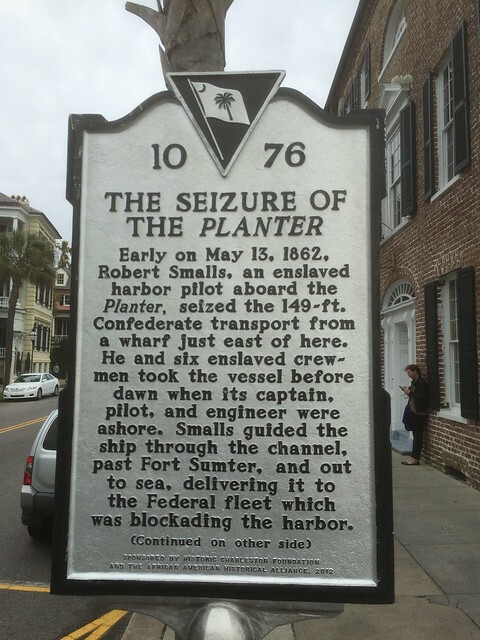 Early on May 13, 1862, Robert Smalls, an enslaved harbor pilot aboard the Planter, seized the 149-ft. Confederate transport from a wharf just east of here. He and six enslaved crewmen took the vessel before dawn, when its captain, pilot, and engineer were ashore. Smalls guided the ship through the channel, past Fort Sumter, and out to sea, delivering it to the Federal fleet which was blockading the harbor. 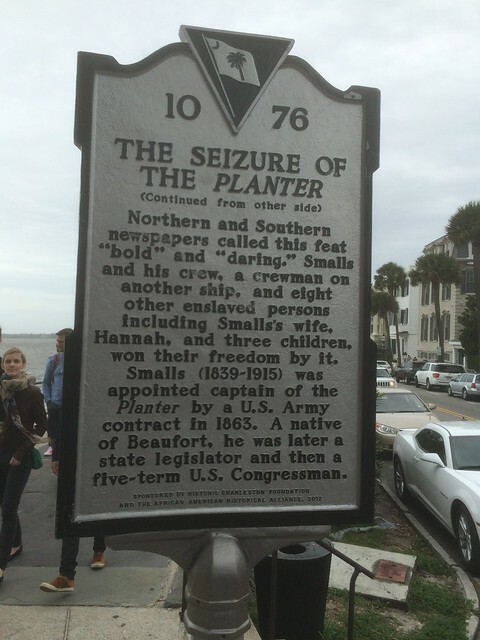 Northern and Southern newspapers called this feat “bold” and “daring.” Smalls and his crew, a crewman on another ship, and eight other enslaved persons including Smalls’s wife, Hannah, and three children, won their freedom by it. Smalls (1839-1915) was appointed captain of the U.S.S. Planter by a U.S. Army contract in 1863. A native of Beaufort, he was later a state legislator and then a five-term U.S. Congressman.